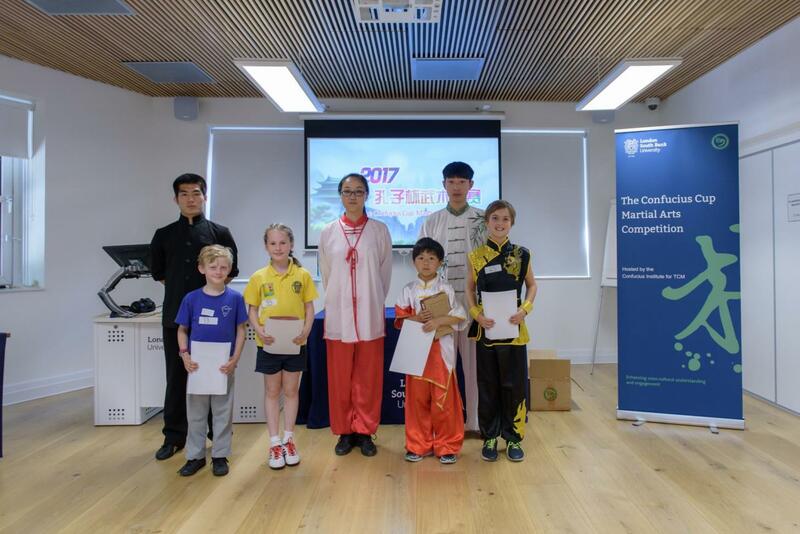 London South Bank University’s Confucius Institute for Traditional Chinese Medicine (CITCM) successfully held the seventh annual Confucius Cup Martial Arts Competition at Caxton House on 23rd June 2017. 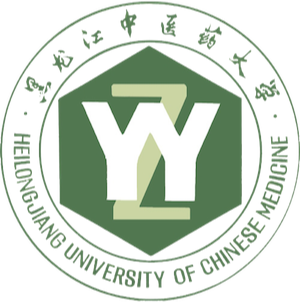 This is the first time that the competition has been held at the home of the Confucius Institute. 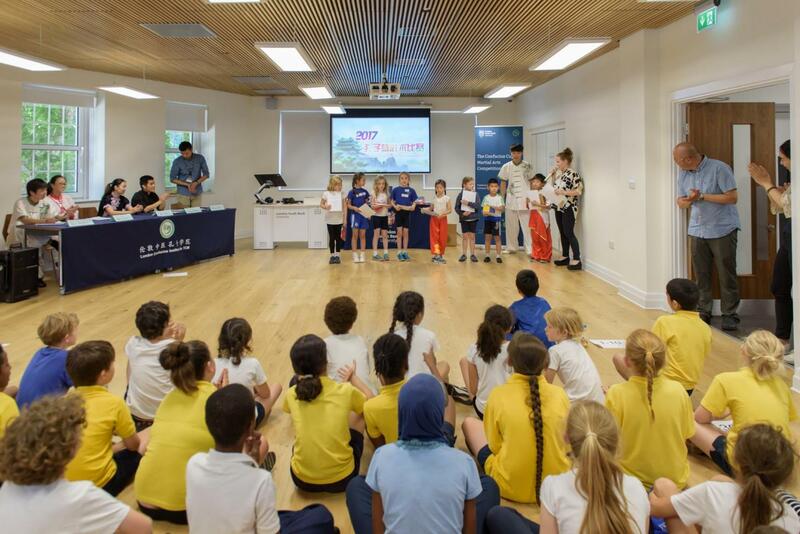 Altogether 50 aspiring contestants from 5 schools in London participated in this exciting event (schools included St John’s Primary School, Highgate Primary School, The Chinese Embassy’s Sunshine School, Oasis Academy Ryelands and Goodrich Primary School). Prior to the competition, all of the competitors attended Martial Arts lessons at their school where they were taught by CTICM’s professional martial artists. After months of hard work they were finally ready for the big day! 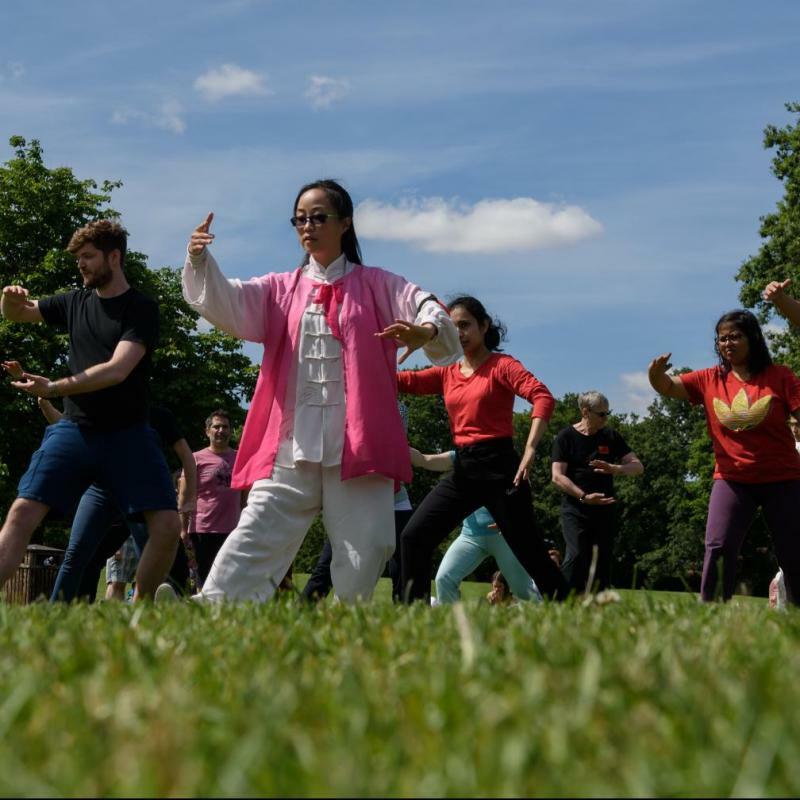 For the competition students were divided into 4 groups and performed a traditional form of Kung Fu called ‘Chang Quan’, which translates into ‘long fist’. 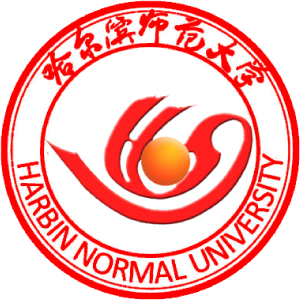 Their energetic and elaborate moves, which were performed at a very high level, clearly showed their passion and talent for Chinese martial arts and won many great rounds of applause from the audience. 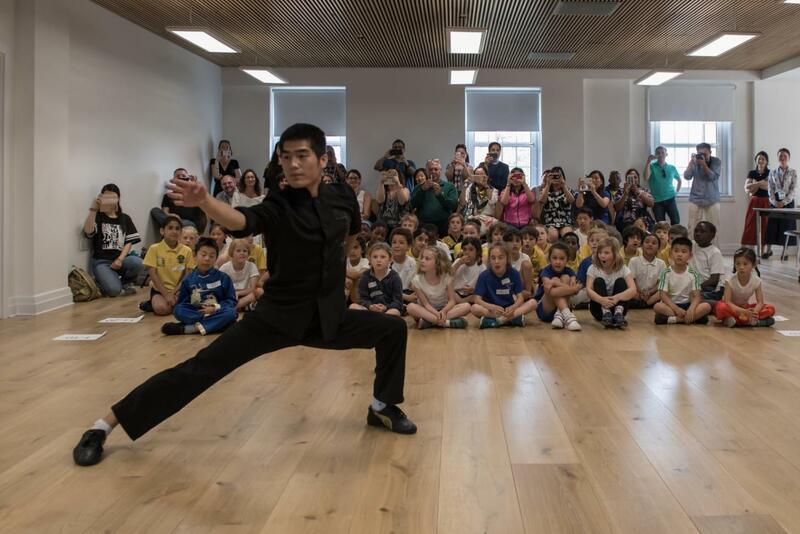 After the competition Li Zhi, Wang Kaile and Yu Jinpeng (CITCM’s martial art teachers and performers) delivered an outstanding performance which undoubtedly inspired the students to try and develop their skills to the next level. The day came to a close with a prize giving ceremony. 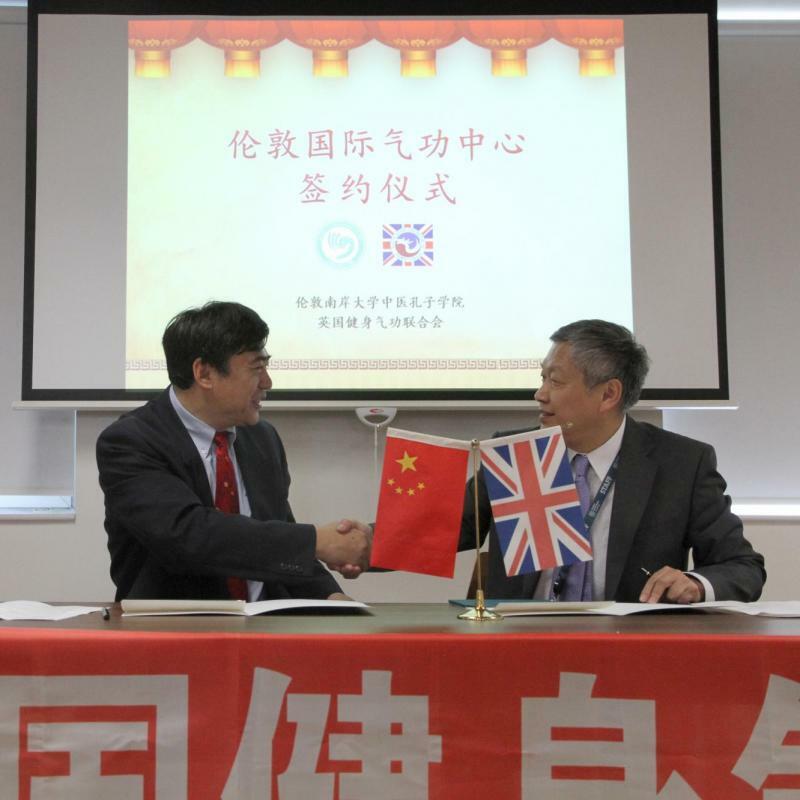 The competition not only inspires the children’s passion for martial arts but also aims to add a new dimension to primary school learning by cooperating Chinese culture and language into the student’s education. This will help students obtain a better sense of international awareness and cultural communication.